Micks1200 at the 2008 Great Dorset Steam Fair. This Story starts in 2008, while I was exhibiting my Just restored Massey 400 combine at the Great Dorset Steam Fair courtesy of the Friends of Ferguson celebrating 50 yrs of Massey Ferguson. 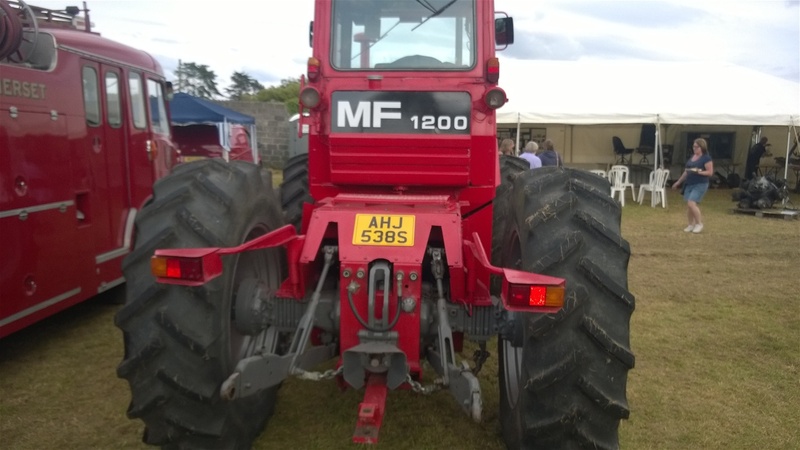 Of the many visitors and exhibitors I was fortunate to meet one particular gentleman stood out who was exhibiting a Massey Ferguson 1200 that had been extensively restored over a two year period he was Mick Hill, who was and still is the Technical editor of this club. Our friendship has remained to this day and since our meeting at this show we have spoken very regularly about all things regarding this legendary company, and Micks many years involvement with this famous brand of Tractors and Machinerry. Mick started out as a spanner man in early 1965 with the Ben Turner company who at that time had only two depots, and he had no idea how big this company would expand to in the future. 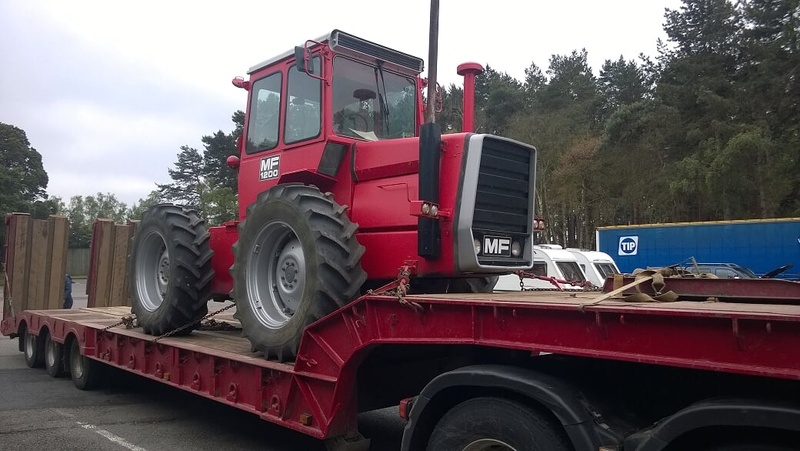 Mick worked on trials for the newly arrived Massey 750 combines from Canada and the fitment of the power flow tables that would cope with the heavier yielding crops here in the UK. During the seventies Mick decided to leave Ben Turner and went to work for Lister at Gloucestershire another successful Massey dealership with a move from Surrey to this Gloucestershire depot Mick had now taken up the position of salesman, and very much enjoyed his work and he would remain at Listers until the merger of this company now known as Lister Wilder. 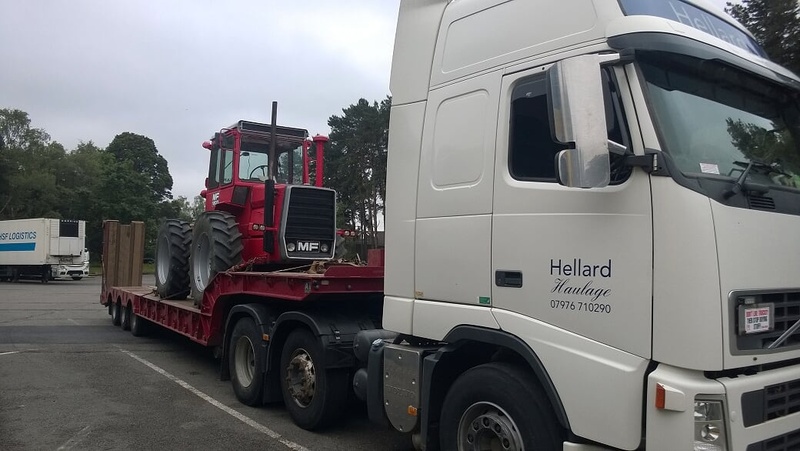 Mick was offered a move back to Surrey with his old company The Ben Turner group who by now had grown considerably and had added a plant division selling all the MF industrials and other brands too. After many years with Ben Turner Mick ended his working career with a newly formed company Sendmarsh Tractors in Surrey and retired several years ago. 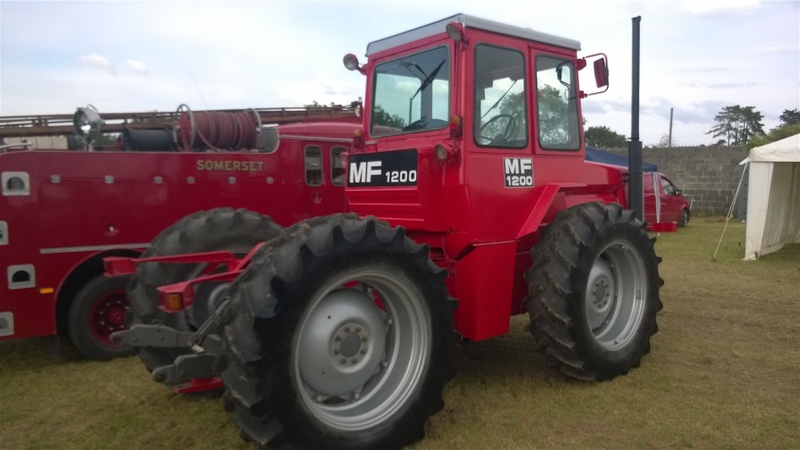 Over the years Mick built up a considerable collection of Massey tractors most restored by himself and his friends and this 1200 was just another he added to his large collection. Mick purchased the 1200 in the nineties from a potato farm in Buckinghamshire, the tractor had only clocked up 6000 genuine hours but unfortunately it was in a non running state as the engine was seized and the gearbox was faulty also several genuine parts were missing from the tractor including the rear light bars the engine side panels and various other cab parts that would not be easy to replace, but with perseverance and Micks many contacts in the Ferguson organizations these parts were soon sourced. 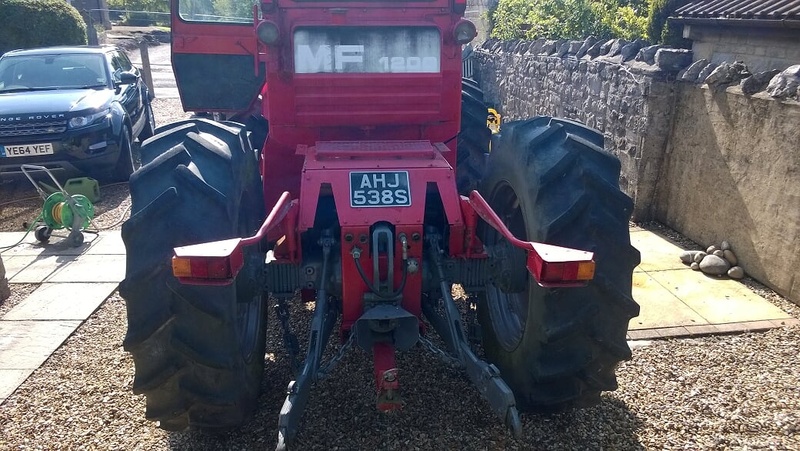 Mick spent several years bringing the tractor back up to the original condition that it is in today, the engine was completely stripped and refurbished the turbo charger that was fitted to the engine was removed! These after market Opico units were quite popular at the time but greatly reduced the longevity of these reliable A6 engines. 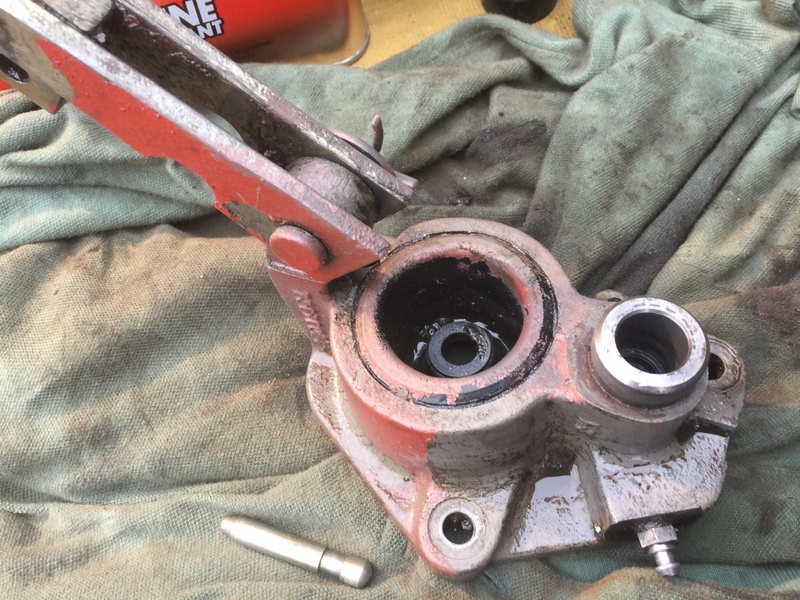 The gearbox was completely shot and was rebuilt with new bearings and several gears replaced, the multi power unit was pressure checked and found to be in good working order and was left as it was. 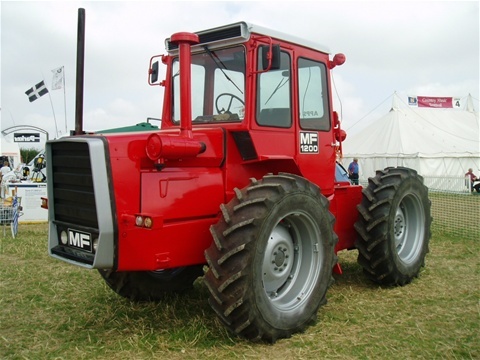 The cab was updated at that time and the seat reupholstered, also new good year tyres were added before finally the paintwork was stripped and replaced in early 2008 just ahead of its first appearance at the Great Dorset Steam Show. 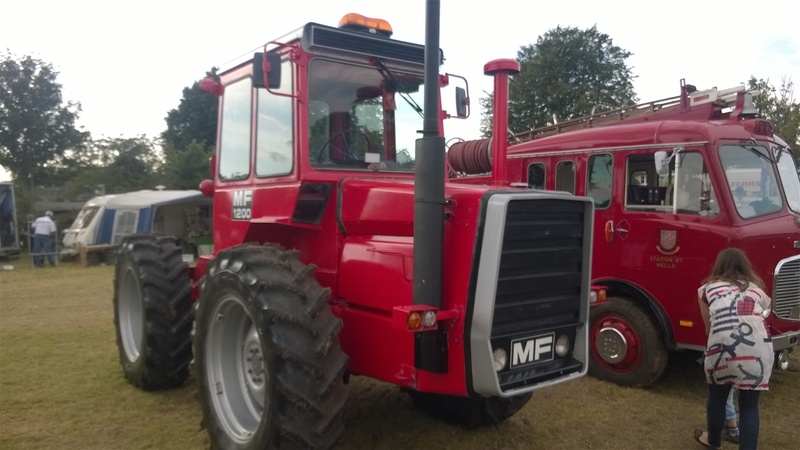 Mick for several years used the 1200 for ploughing matches and pulling an arctic trailer to local shows with a couple of his other tractors on board! A very impressive sight. 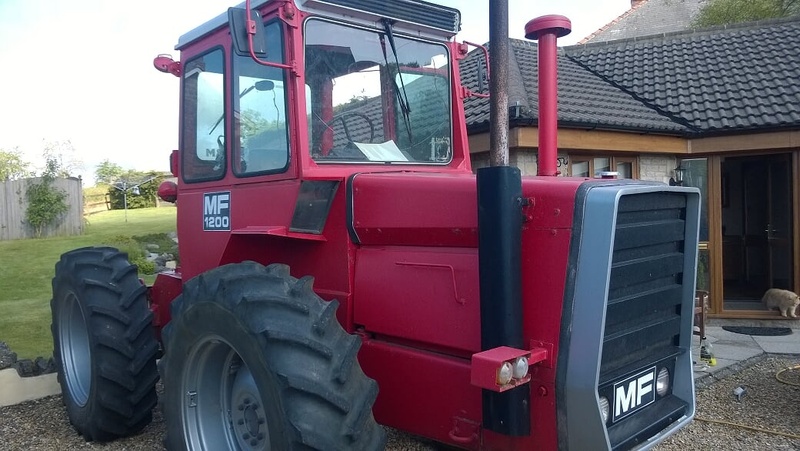 During late 2014 Mick decided the tractor would be better in the hands of someone who could use the tractor more and offer it some suitable undercover storage, Mick had previously stored the tractor inside but it had remained outside for 2/3 years as his collection grew, also the tractor was seldom used and with the elements taking its toll on the tractor paintwork Micks decision to sell was made a bit easier. 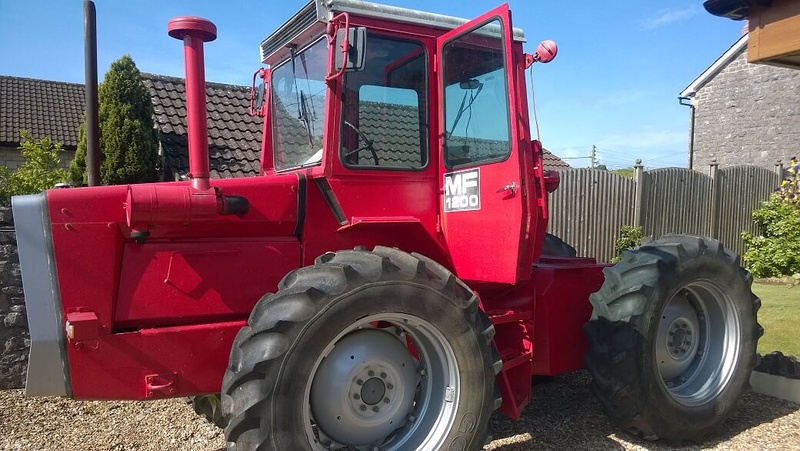 At the end of April 2015 A deal was reached with Mick on the tractors future here with me in Somerset and it was purchased by myself in May and picked up from Surrey in June. I would like to personally thank Mick for giving me the opportunity to take on his 1200 and keep it in the top order that he intended. 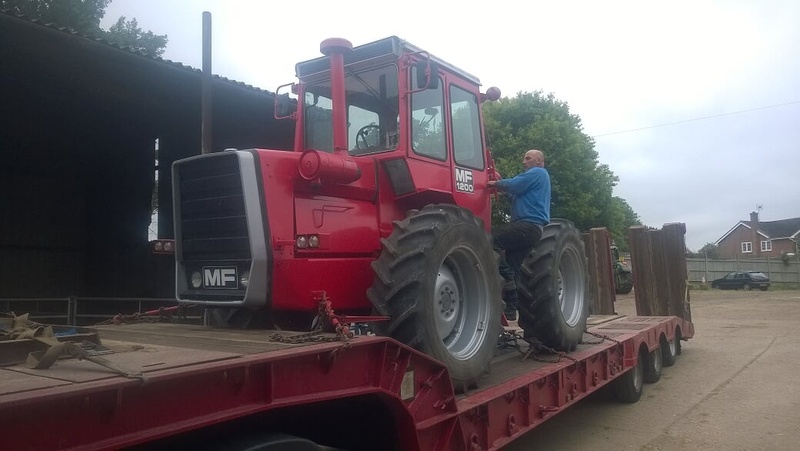 What follows are some photos of tractor being picked up and the various stages of work that was required to bring this old lady back to her original condition. 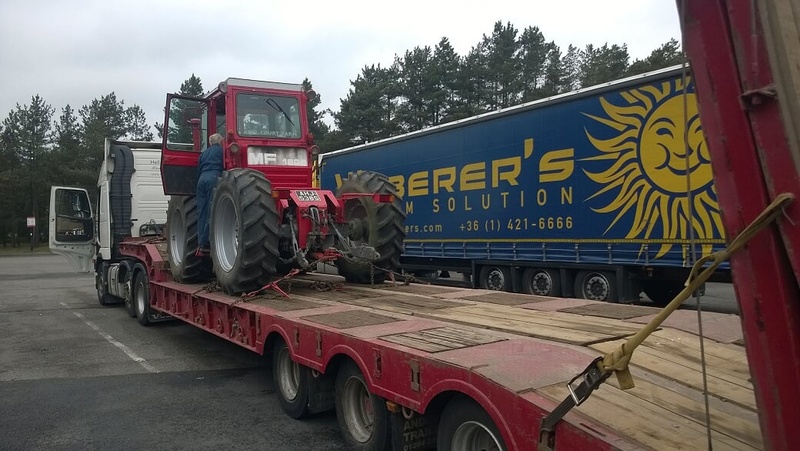 Tractor loaded up for Somerset after many years in Surrey. A big thank you to Smaz for lending me his low loader!! A brief stop at Fleet services! For a cuppa. Although the paintwork is faded this old girl still looks good!! Tractor as it arrived, close up shot of the badly faded paintwork! Rear shot showing the original light bars also the badly faded rear decal! All the decals would need replacing. The first job after collecting the tractor was to assess what would be required to get tractor back into top order!! The fuel tank was drained and bottom plate removed so cleaning could be carried out to ensure a clean fuel system, a must with these old tractors. The paintwork would require many hours of buffing to bring back that super red shine this job was achieved by using a G3 paint cutting compound and a orbital polisher, followed by a cannuba wax polish. 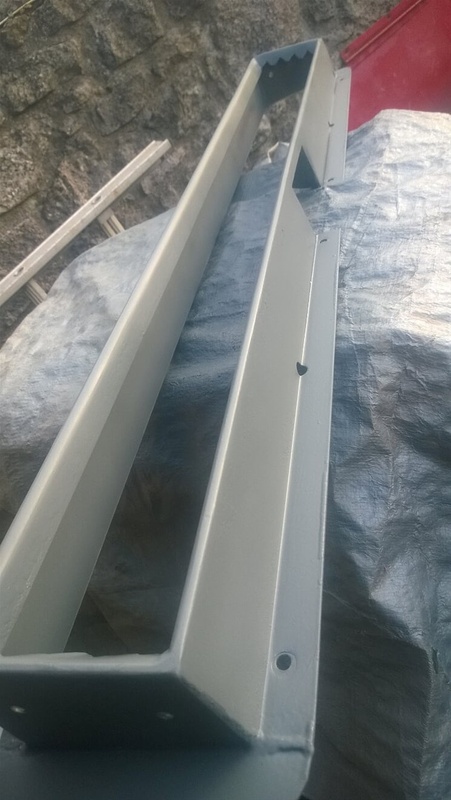 Fortunately Mick and his team used a good quality paint and also a good depth of paint which made the restoration of the paintwork easier. 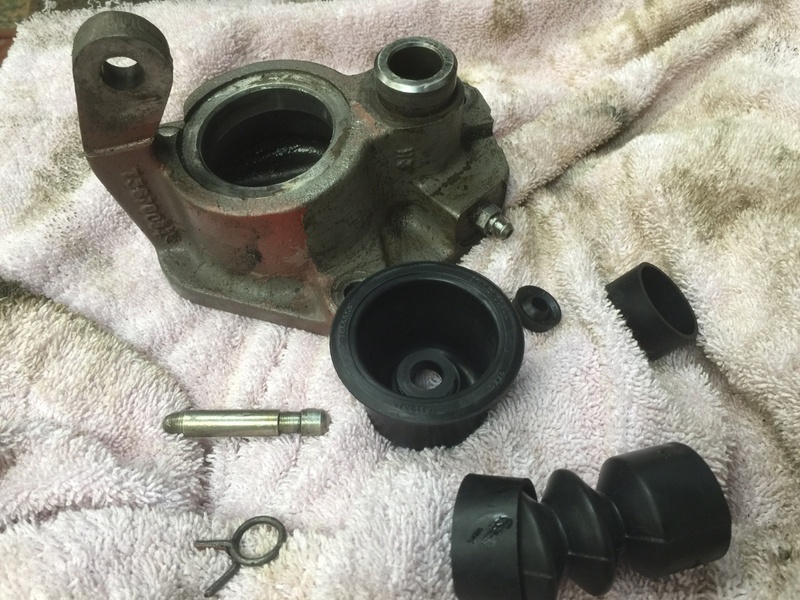 The 3point linkage sway links and the levelling link were removed and left to soak in a releasing fluid for a week and then put in a vice and gradually moved a fraction of a time with large stealsons! Fortunately I didn't have to resort to using heat to free it all up. 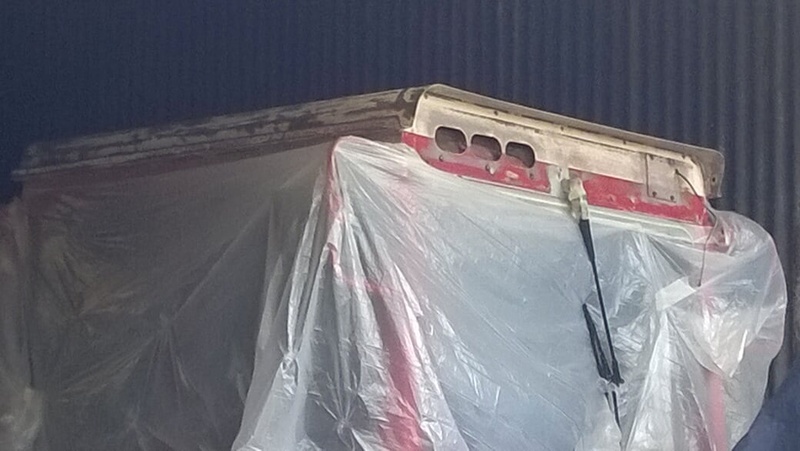 The roof of the tractor had suffered very badly with paint flaking off and the front air cab circulation box would have to be removed and stripped down for repainting, unfortunately the cab roof is welded to tractor and any work would require working on steps or removing the whole cab!!. The exhaust system and swept bend from the manifold were completely shot and rusted out, I had originally intended to use a stainless steele tube and re configure the swept bend using stainless steel but my good friend David at Galaxy Horseboxes came up trumps with an original replica New system!! Which he now can supply to other owners, I will list Dave's contact details at the end of this summary. 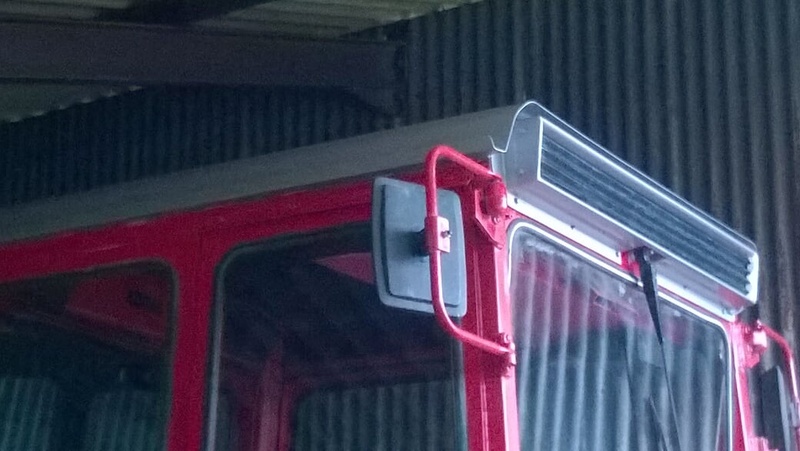 The tractor decals were all replaced even in the cab, and some of the cab trim panels were replaced also. The cab door handle and lock were replaced with a new old stock part with 2 keys! 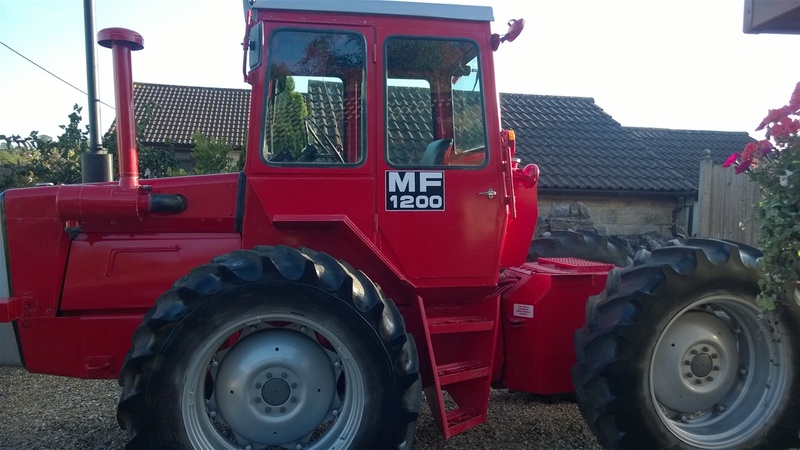 Work on the roof continued a zinc oxide coat, and several primer coats, followed by the top coat of silver mist, this 1978 model was very near the time that the roof colour scheme changed to silver mist, so I adopted the colour for this tractor in preference. 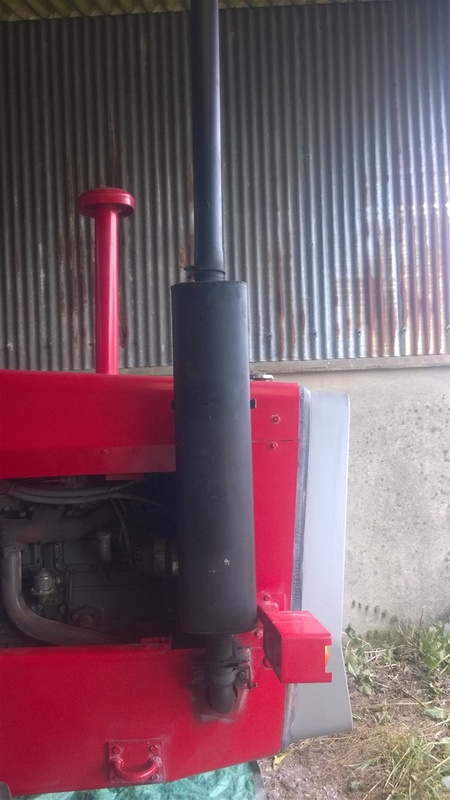 Servicing the tractor was next on the list and all the oils and filters were replaced. 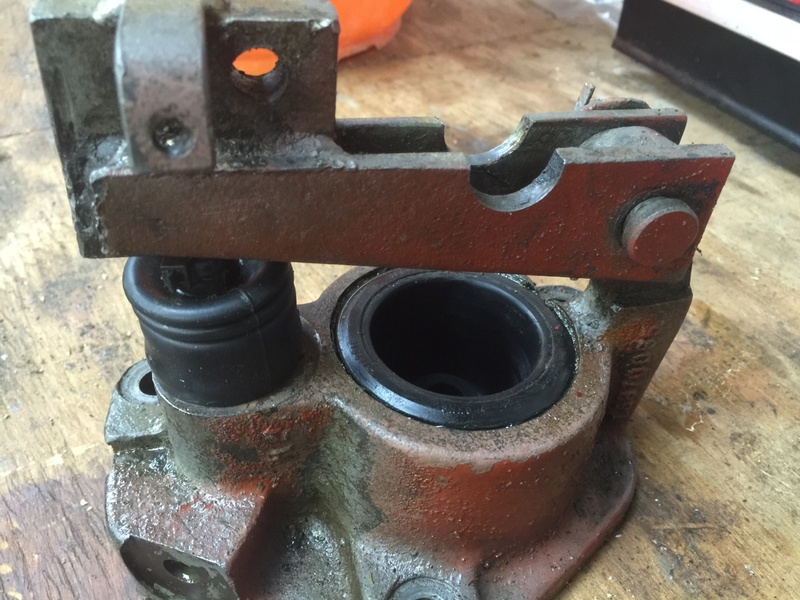 Regular bleeding of the brakes resulted in the inspection of the slave cylinder and seals and axle seals which would need removing and replacing! Once again all obtainable from Galaxy Horseboxes. 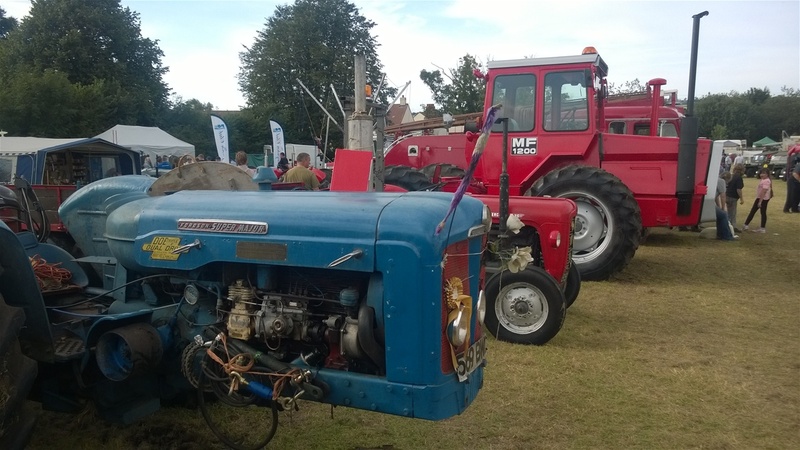 The tractor made its first trip out in Somerset on the 6/8/15 to the local Shepton Show a regular trip for many local vintage vehicle owners. A selection of photos of tractor today!! 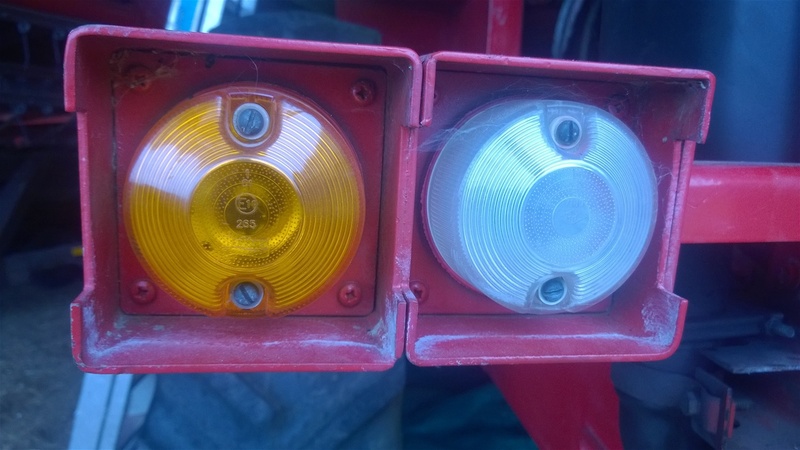 Also for 1200 parts contact Dave at Galaxy Horseboxes. What I have discovered now is this tractor was purchased New on the 22/6/78 by the Strutt and Parker farming group based in Essex. Preparation of the roof for re painting!! 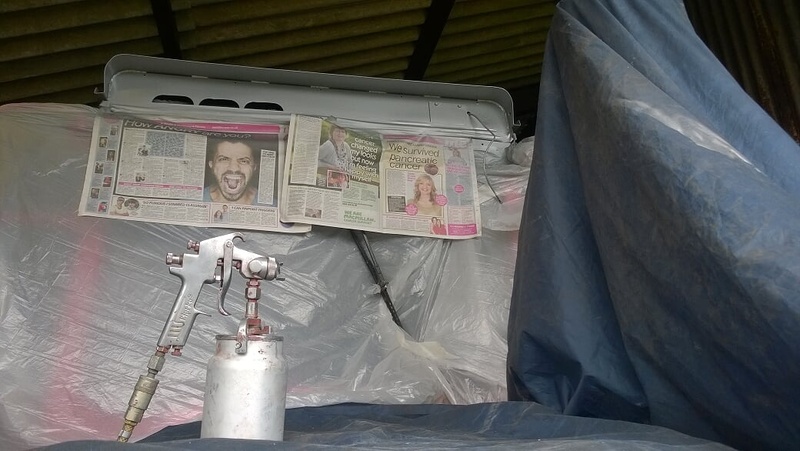 Cab air recirculation panel stripped and primed! 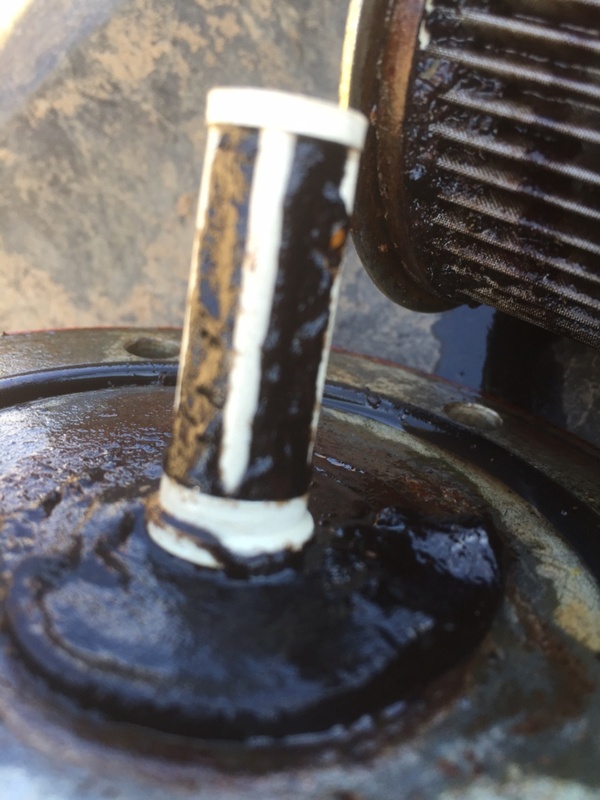 With the ever increase of bio fuels used in machinery regular servicing of the filters particularly this tank filter is a must, the problems with these vintage tractors mean they now work for very limited periods and as such the fuel can degrade and cause these sort of problems. Seal kit for slave cylinder, up until recently these items were very difficult to obtain, but not now! 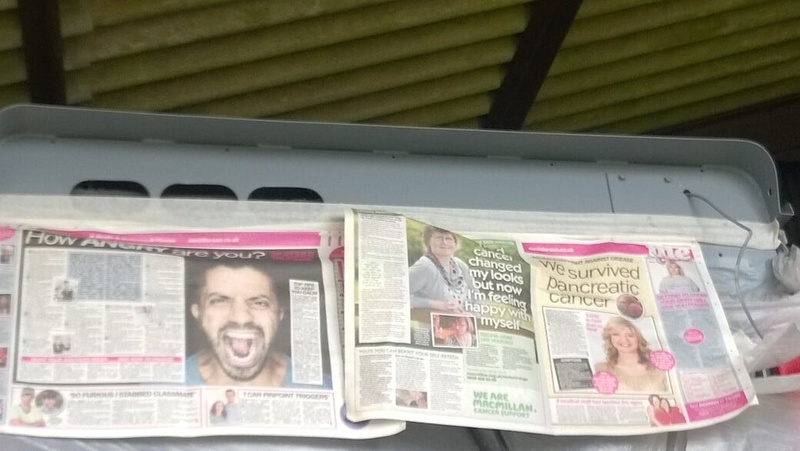 courtesy of Dave at Galaxy Horseboxes. New seals replaced and slave cylinder ready to fit back on axle! 3 more to do!! Cab roof primed up for colour. On parade at the Shepton Show. Rear shot showing the business end of the tractor. Another classic at the show Mike Brockways Doe leads the line up! !